..exemplary service from smiley positive people always willing to go that extra mile..
1. How long does it take from placing an order to completion? This depends on a number of variables. The time of year, location of site, the size and type of equipment ordered and the availability of the installation team. 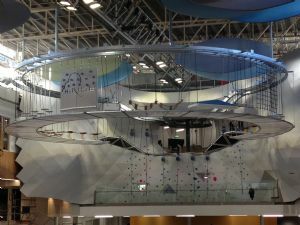 It can take from 2 - 6 weeks to manufacture the equipment and 1 – 4 weeks to install, obviously this is largely dependent upon the size of your indoor play area. 2. Do you offer finance? Yes. We have teamed up with a leading independent finance company Johnson Reed who specialise in providing funding for the indoor play industry. They offer flexible tailored solutions to help you spread your costs into affordable low monthly payments. You will need public and employer’s liability insurance. Purchasing from a professional company and API member such as Angus Firth Design will ensure you receive the highest quality and safest play equipment. Recognizing this fact are Insurance brokers TL Dallas & Co Ltd who have been extensively involved in the industry for a number of years. As such they can offer very competitive rates for indoor play operators. 4. Where is your equipment manufactured? 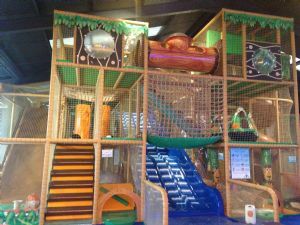 All the soft play equipment and steel structures are manufactured at our 15,000sqft industrial unit on the Lancashire, West Yorkshire border by our experienced employees. Many of the same employees will be involved with the on-site assembly of the indoor childrens play equipment giving them pride and satisfaction in the finished product. Angus Firth Design is a UK owned family company. No. We will always remain firm with the price accepted by our customers. 6. Do you provide theming and branding? Yes. Whatever your concept our talented illustrators can bring areas to life with murals and characters applied to party area, toilet and café walls. We can also develop your logo or mascot strengthening your brand and business identity. 7. Do you offer maintenance? Yes. We offer an extensive range of maintenance packages to suit your needs. This includes detailed inspections to EN1176 standards, scheduled maintenance visits, ball pool cleaning, system cleaning, upgrades and extensions. At Angus Firth Design we are committed to ensuring that your play area remains safe and looks good for many years. 8. What warranty does the equipment come with? All equipment is covered by a 12 months guarantee. Our price includes two scheduled maintenance visits within the first year of operation. 9. Do you supply overseas? Yes. To press, we have installations in Austria, Bulgaria, Denmark, France, Hong Kong, Ireland, Italy, Nigeria, Norway, Poland, Sweden. 10. What standards do you meet? All play equipment is designed to meet the current British and European standards, namely BS8409:2002 and EN1176 where applicable. Included in the price for every installation is an independent post installation safety inspection by play safety experts RoSPA.